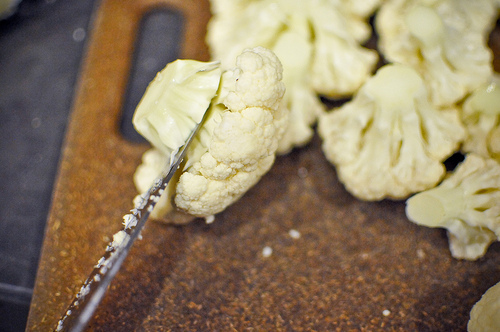 So who here has tried to cut up a cauliflower only to have their cutting board (and most of their counter) covered in little white cauliflower flakes? 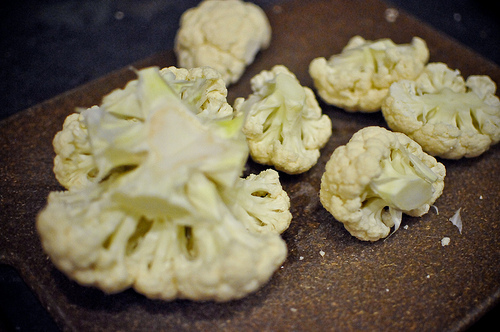 (Side note: Cauliflower Flakes would be a really gross cereal.) Nobody? Just me? 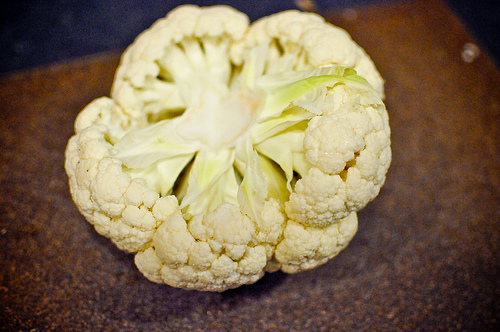 Well, on the off chance that someone out there is having their day ruined by cauliflower mess, I figured I’d share this technique for quickly and neatly chopping one up. 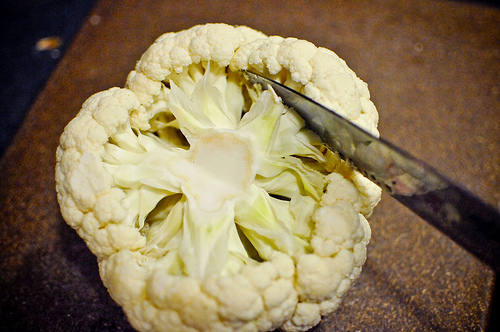 Those of you who haven’t had this problem should either eat more cauliflower or feel superior in your knife skills, whichever you prefer. Essentially, the basic trick is to cut it from the bottom up, rather than hacking right into the florets. Leave the poor florets alone! First, cut off the green leafy part. 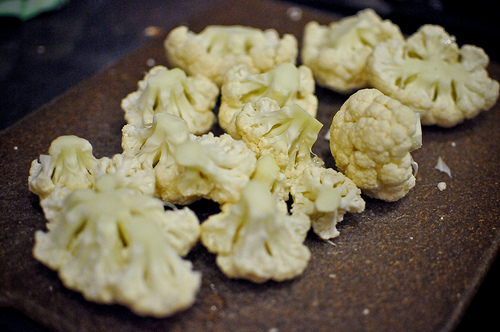 Then start cutting big chunks by slicing through the stems, depending on how stemmy you like your cauliflower. Repeat the process with each chunk until your florets are as small as you want them. 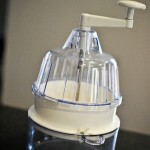 Ultimately you will have a bunch of florets and hopefully a minimal amount of mess. Voila! Now toss them in just a dab of oil, salt & pepper, sprinkle them liberally with nutritional yeast and roast on a cookie sheet at 450 for about 25-30 minutes and you’ve got yourself a lovely side dish! 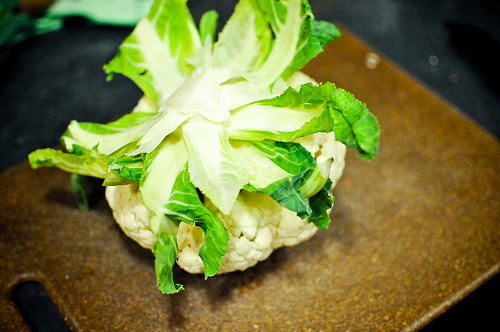 Yay for cruciferous vegetables! Don’t toss the greens. 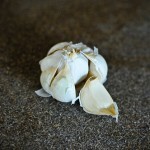 Throw those in with the recipe if it makes sense, like a stew or saute.